ILTO offer wedding photography packages to fit all budgets. We have a few different packages to choose from and, whether large or small, you can select a package that caters to your exact needs, and will give you the kind of memorable images you expect, want, need and deserve! The cost of the wedding photography packages is understandably one that’s an important one to consider, but the first question should always be “how important are your wedding pictures to you?”. When it comes to finding your wedding photographer you have to consider first whether their style matches what you want and whether the images they produce are up to a high standard. Choosing a package purely based on price alone, can leave you with a lifetime of regret, and if the pictures they take come out at all, they often age quickly, don’t provide you with a full story of your day, or are bland and don’t showcase your personalities. Have you noticed that some of the cheapest wedding photographers, who have some amazing shots, usually often feature the bride and groom? There are never any guests in the shots! This is because they usually haven’t covered a real wedding! They pay to attend wedding workshops, and are taught how to take specific shots! They’re not taught how to capture a full wedding, or how to interact or relate to people, how to relax people who often hate having a picture taken, and they are not taught how to be professional. I really don’t think you can teach those kinds of skills; you either have it or you don’t, and thankfully we have bucket loads of those essential skills! The wedding photos are the part that you cherish for decades later. The food, the flowers and the music will all fade with time, but excellent wedding photos last a lifetime. It’s vital you pick a wedding photographer that can really do a good job. Why risk it with someone who isn’t a professional? 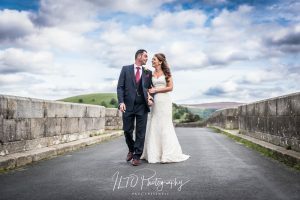 To find out more about the style of our work at ILTO Yorkshire Wedding Photographer, please have a wander through the website. You’ll find the largest collection of our stunning photography work on our wedding blog. We work in a natural style that reflects your personality, giving you a memorable, comprehensive and honest coverage of your special day. As for “formal” photography, yes, we obviously include group shots if you want them, but we largely focus (no pun intended!) upon capturing you and your guests enjoying the day as you’d expect. This is where we get the best shots! 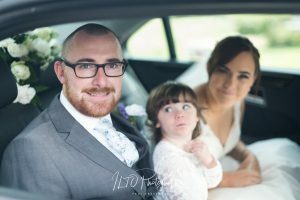 With ILTO, you’re guaranteed to get the best value for money with your wedding photography because we work to such an exceptional quality, providing the best images at a sensible price. You can even decide if you’d prefer one photographer or two. View our list of packages and prices below. If you want the best possible coverage, with the most pictures, our full day wedding packages are the ones we recommend. We want you to be able to remember every moment of your day for years to come! Coverage of the reception right up to the first dance. This is our best-selling photography package! A personalised collection of digital images on a USB memory stick, delivered in a beautiful hand crafted wooden presentation box. This includes at least 400 of the best shots from the day, which are personal and professionally edited. You don’t have to pick and choose the images you want to keep, as we’ll give you as many as we can. The format includes both Facebook-friendly and High Resolution formats (for printing). A movie of the day, made up with the very best of you edited high-resolution images, set to music. A large printed canvas of your favourite shot of the day. An A3 or A4 full-colour professional lay flat album, filled with up to 28 of your favourite shots from the day. You also get full personal reproduction and printing rights, so you can create unlimited reprints and share your images with family, friends and guests too! A personalised collection of digital images on a USB memory stick, delivered in a small hand crafted wooden presentation box. This includes at least 400 of the best shots from the day, which are personal and professionally edited. You don’t have to pick and choose the images you want to keep, as we’ll give you as many as we can. The format includes both Facebook-friendly and High Resolution formats (for printing). Full personal reproduction and printing rights, so you can create unlimited reprints, and share your images with family, friends and guests too! The Groom & Groomsmen at the Ceremony Venue, photos of the Venue itself and candid guest shots waiting and mingling. Arrival of the Bridesmaids and the Bride. The Ceremony, signing, aisle shots and Confetti shot if applicable. Formal and informal shots of you and your guests. The cake and table decorations, drinks reception and natural shots of the Bride & Groom. Speeches and your first dance are included if it fits within the 5 hours this package provides. A personalised printed CD which includes at least 175 of the best shots of your wedding. These are personally and professionally edited and come in both Facebook-friendly and High Resolution formats (for printing). A short movie of the day, made up from the very best of your edited high resolution images, set to music. A printed canvas of your favourite shot of the day. Personal reproduction and printing rights, so you can create unlimited reprints, and share your images with family, friends and guests! If you’re interested in any of our packages, we would love to hear from you! If you have any questions or queries about the coverage or what’s included, we are more than happy to talk you through it. Everyone loves an upgrade – and we’re no different! Our clients, along with ourselves, absolutely love the quality of our printed canvases and albums. Sometimes it’s nice to push the boat a little further though. We’re able to offer a wide range of designer albums, Parent Albums, Thank You Cards, Acrylics, Prints and Canvases. So if you feel like treating yourselves that little bit more for something extra special, just ask us. Our approach puts you in control of your budget! To keep things simple, we operate a flat rate of £75 per hour, and the minimum booking is 2 hours. That way you always know exactly how much you’re going to spend. If the job is within 35 miles from Wakefield, then there is no additional travel fee on top either! For job outside of this, we only add £40 to cover the cost of fuel and wear-and-tear. So what do you get for this then? 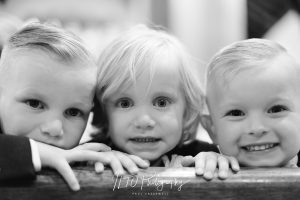 Regardless of whether the shots are for Lifestyle portraits, corporate, commercial, boudoir, newborn, Christening, retirement, birthday, Black Tie, Gala (you get the idea! ), you always get as many professional and fully edited shots as possible. I use the shots that tell the story of the session in the best possible way, using the best possible images. The longer you have us there, the more shots you’ll get. These are then professionally edited by Paul and you get 2 versions of your images. The first is a Facebook Friendly format (for general social media and emailing). The second is a High Res format (specifically for printing) either on a CD or sent securely and digitally to you. We can do both if you really want! You don’t have to buy any images, or choose which ones you want to keep. Whatever I edit and send are yours to keep and use as you wish, as you also receive Personal Reproduction and Printing Rights. This means that you can print and share your images as much as you want to. The Copyright always remains with the photographer, as this is the law and it’s the only protection we have against our finished work being altered or edited again by the client. Having a professional photographer doesn’t have to be expensive. Have a look around at some others and you’ll see that we genuinely put you first and give you the best for your money!